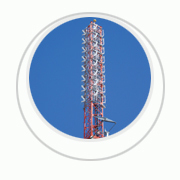 At Radio Frequency Systems we define quality to be the value you, the customer, enjoy over a long association with us. We are committed to a philosophy of total quality and have a corporate goal of meeting international quality standards as they become effective. Radio Frequency Systems is certified to International Standard ISO9001 which spans every aspect of our operations from product design through to post installation. This ensures that clients receive systems that meet their needs over a long period.